Malibells Country Cottages is only 16km from beautiful Bellingen, with all it's alternative shops and cafes, rivers and rainforests, near to the Promised Land and the Never Never River and then another 30mins to Coffs Harbour, Nambucca and the rest of the coast. I highly recommend Malibells Cottages as a stopover or a destination - it's a "A great place to stay awhile". 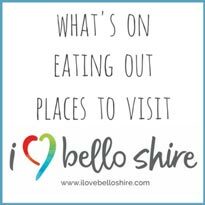 “A very big thank you - it is hard to express the richness of our experience here at Bellingen and Malibells. The creeks, the views, the fresh eggs... The Spirit !!!" “We enjoyed your wonderful place... After a stressful term your place has helped us to relax, refresh and rejuvenate." Christine and family, Central Coast NSW. "This place was the perfect accompaniment to this beautiful area. Loved our time here next time we will bring our friends and rent both cottages."